The Kgalagadi Transfrontier Park located in the southern Kalahari desert, straddles the border between South Africa and Botswana. The red sand dunes, sparse vegetation and dry riverbeds of the Nossob and Auob Rivers is teeming with wild life. The desolate landscape is an excellent place to see predators, particularly the big cats; lions, leopards and cheetahs. 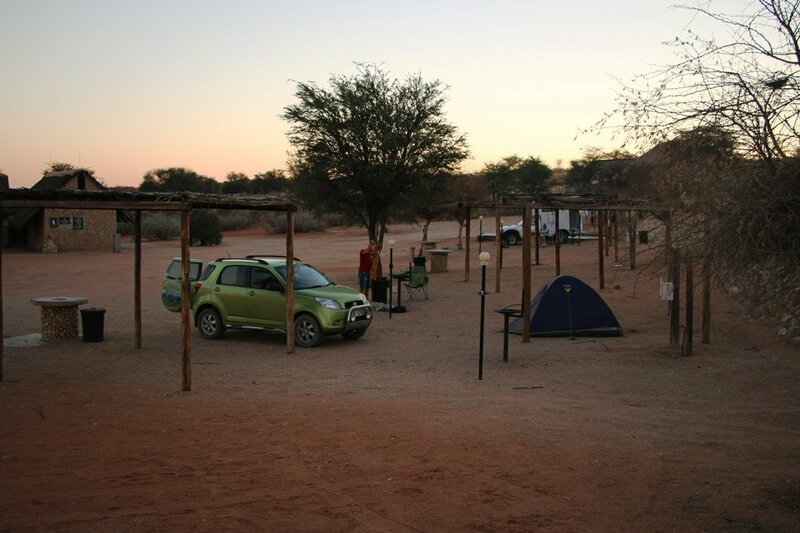 Camping in Kgalagadi is the most popular way to explore this fantastic park for a couple of days. Want to explore the Kalahari? Our Road Trip Guide from Cape Town to Kgalagadi will be very handy! Two adjacent national parks, the Gemsbok National Park in Botswana and the Kalahari Gemsbok National Park in South Africa were joined to form a single ecological unit, The Kgalagadi Transfrontier Park. The boundary between the two parks had no physical barriers, although it is also the international border between the two countries. This allowed for the free movement of animals. If you are staying within the Kgalagadi Park you do not need a passport even if you drive into the Botswana side, it is only necessary if you enter in one country and exit in the other. Young Cape Fox outside it’s den. The Kgalagadi is one of the top destinations to experience wild African wilderness and a bucket list item for most wild life photographers. Since there are no elephant, rhino or buffalo it is not the place to see the big 5. The desolate Kalahari landscapes are however an excellent place to spot black-maned Kalahari lions, cheetahs and if you are lucky even a leopard. We had a lot of fun watching the smaller inhabitants of the Kalahari; the bat-eared fox, meerkat, ground squirrel and the beautiful cape fox. The Honey Badger (Ratel) and Pangolin (Scaly Anteater) are some of the other smaller animals special to the park. Plenty of action is offered by watching other predators and scavengers such as hyenas, jackals and the birds of prey interact. 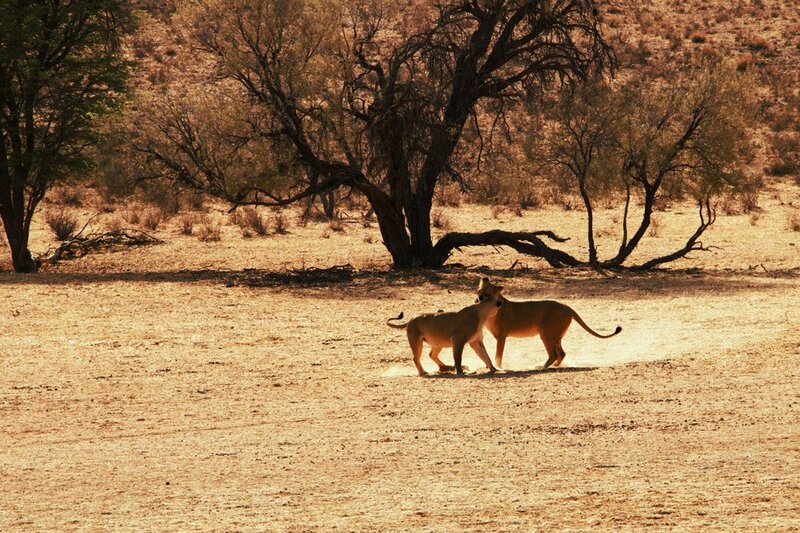 Seeing lions in the wild is one of the highlights of visiting Kgalagadi! You can visit his amazing park all year round. The park is busier during South African school holidays. 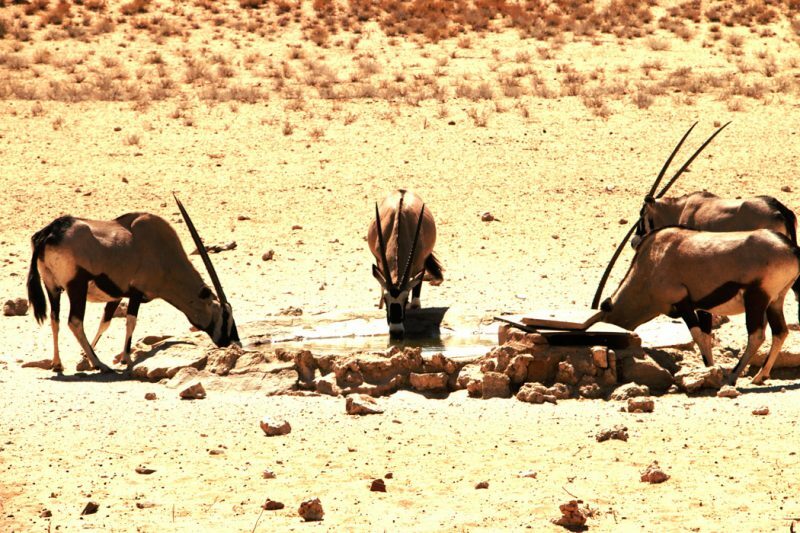 The Kalahari is an arid region with less than 200mm of rainfall a year, falling between the summer months of January and April. Mar/April – end of the rainy season, still some thunderstorms and rain. Game sightings very good, but predator sightings limited. Temps are moderate in the day and cool at night. Vegetation is green, beautiful time. Jun/Jul – Very dry and dusty, lots of the red dunes. Game and predator sightings good. Good for bird watching Day temps nice, but at night drops to -10 deg C.
Sept/Oct – Still dry and sparse vegetation, and very dusty. More lively than in winter months. Moderate day temps and cool at night. the end of the dry season, many animals and migrating birds congregate around the waterholes. Great time for bird watching. Dec/Jan – Thunderstorms, hot and heavy rain. With very hot days, game viewing is best in mornings or evenings. Game, predator and bird sightings very good. New-born animals around, attracting predators. What car do you need to drive in Kgalagadi? 4×4 is not required to drive the roads between the traditional camps. Good ground clearance will however make it a lot easier to drive. Twee Rivieren to Nossob the road was good and a Sedan car is ok.
Nossob to Mata Mata the road was very sandy, a French couple in a Polo got stuck in the sand a couple of times and had to be towed out. Mata Mata to Twee Rivieren, road was good. 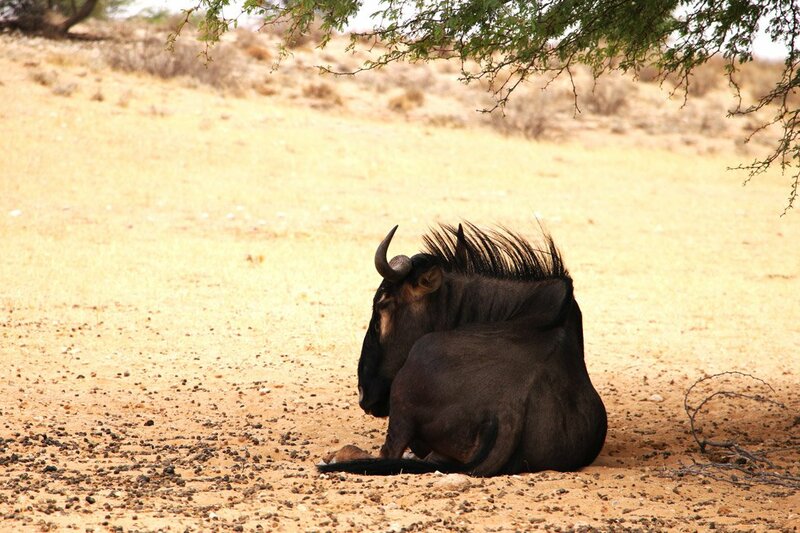 We saw many blue wildebeests everywhere in the park, they are also called gnus. On the South African side of the park the most popular camps are the three ‘tradtional camps’ this is the cheapest and easiest way to visit the park. The six wilderness camps on the South African side are unfenced, but have chalets with plenty of luxury, these camps are significantly more expensive than the traditional camps. The Botswana side of park is mostly undeveloped, the camps are all very basic, with only a wooden shelter, long-drop toilet and maybe a tap or shower. Here are no shops and the roads rough so you must have a 4×4 that is fully-equipped so you can be totally self-sufficient. 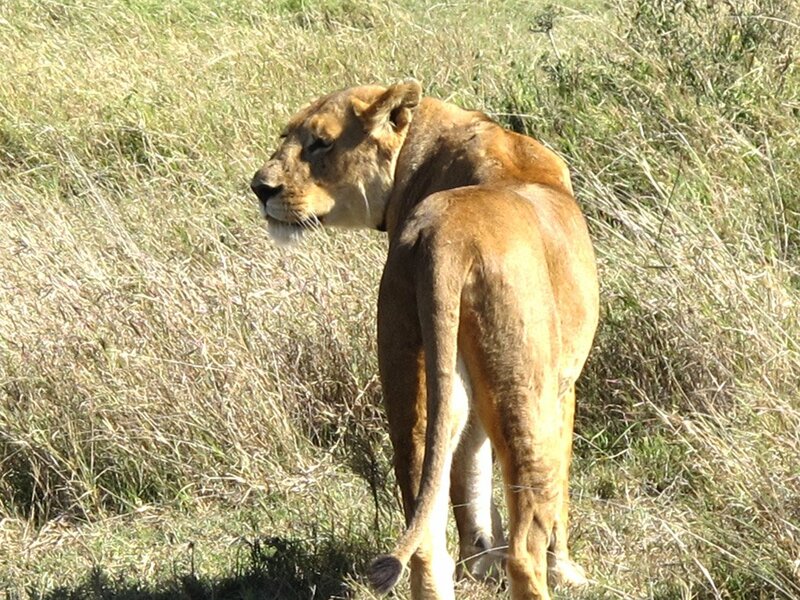 Since the camps on the Botswana are unfenced lions and predators can enter your camp and often do so. We were under the impression you have to stay in a rooftop tent. Some people do however camp in the ‘wild’ camps in normal tents on the ground without problems. Apparently sleeping on your car roof does not really guarantee predators can’t reach you, it just gives you false sense of security. This is off course at your own risk. Our campsite at Twee Rivieren at sunset. We stayed in all three traditional camps, Tweerivieren, Nossop and Mata mata. These campsites are fenced so lions and other animals cannot pay you a visit at night. Accommodation here is available in self-catering chalets and there are campsites which is the cheapest option on the South African side. If you drive from Upington you will enter the park here. It is a well-maintained campsite with nice facilities close to the main gate so even if you arrive a bit late it’s not far to drive. The camp has everything you may need for camping and safari. There is a big shop that sells food, cool drinks, wood, water, some camping equipment, souvenirs. 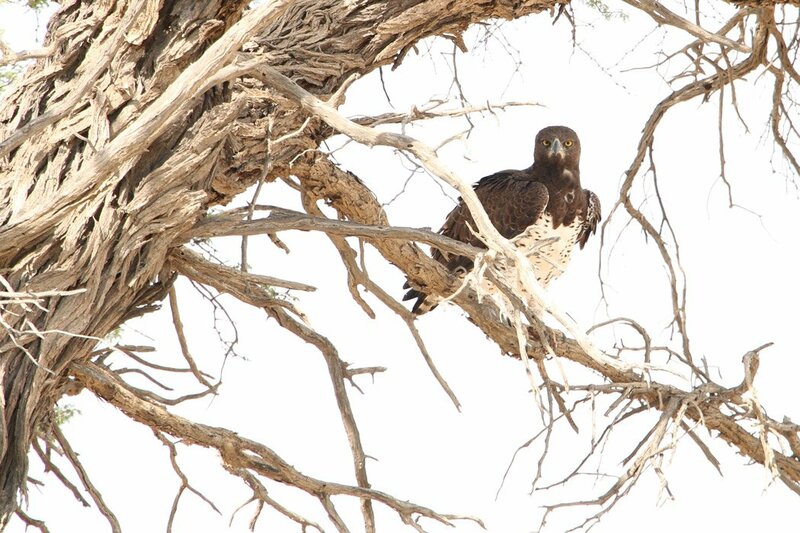 A Martial Eagle, we saw many bird of prey. We only booked our campsite 2 days ahead and the standard campsites (R330) were fully booked. We stayed in the premium campsite, this was a bit high for our budget, but was really nice. You have your own ablutions block and kitchenette. There is a nice, private shaded area where you can hide from wind and sun. It was a good campsite with jackals walking around inside and I heard a couple of hyenas howling nearby during the night. The camp has a waterhole with a hide, ask where it is, sunrise and sunset you can have some awesome game viewing from here. 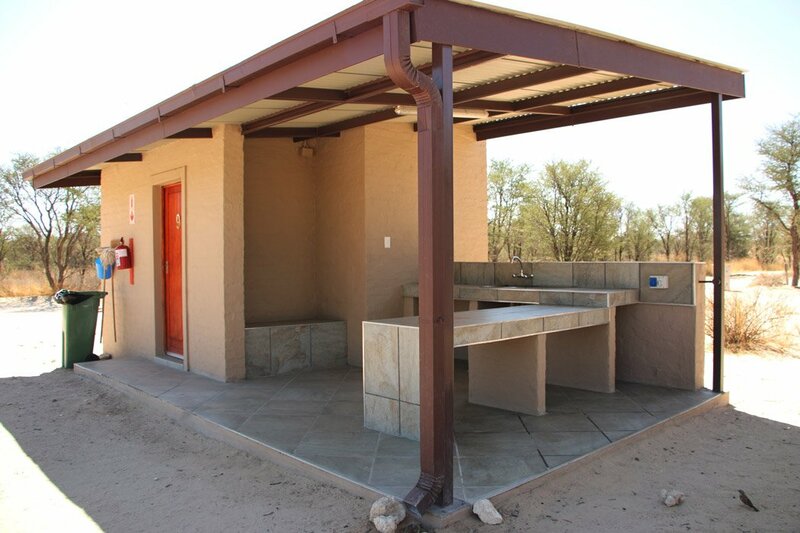 Premium camp site at Nossob camp, each campsite has these private facilities. We had fun in Mata mata watching many ground squirrels and meerkats running around, digging, trying to find some food all around us. The camp has a waterhole with a hide, we spoke to people that saw a hyena and a cheetah at this waterhole. When you return from your game drive go and sit here for sunset! The camp has a small shop selling cool drinks, snacks, ice, wood and water. 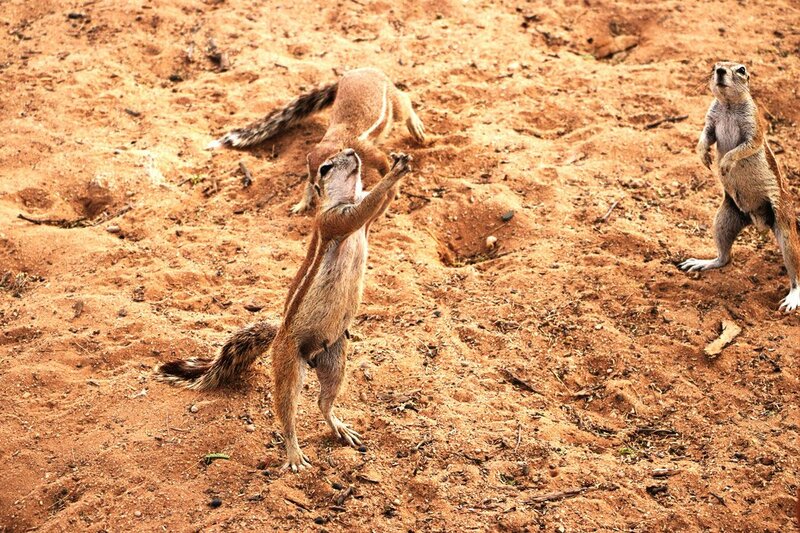 A ground squirrel begging for food at our camp in Mata Mata! We arrived at 3pm did a 35km game drive towards Nossob before lighting the fire for our braai. The drive took us 3,5 hours and we saw; three jackals, a bat ear fox, many meerkats and ground squirrels, many gemsboks and springboks, some wilde beests, many ostriches . Remember the camp closes at 7pm. 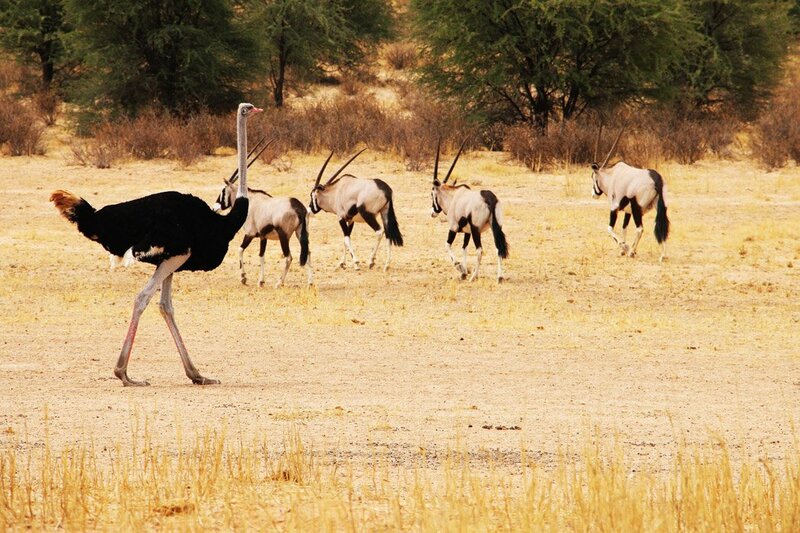 There were many gemsboks and ostriches walking around everywhere. We started the drive quite early before 7am hoping to spot more animals and we did see some right in the beginning. Cape foxes and jackals were very active in the morning digging, running around so we got some nice photos. Most of springboks, gemsboks and were still half asleep sitting in the grass. After that for most of the way we didn’t see much some occasional ostriches, jackals and bokkies. The road is half gravel half sandy not difficult to drive don’t need 4×4 can drive with a normal car. There are two designated picnic spots between Two Rivers and Nossob with flushing toilets and running water. These are only places you allowed to get off the car. 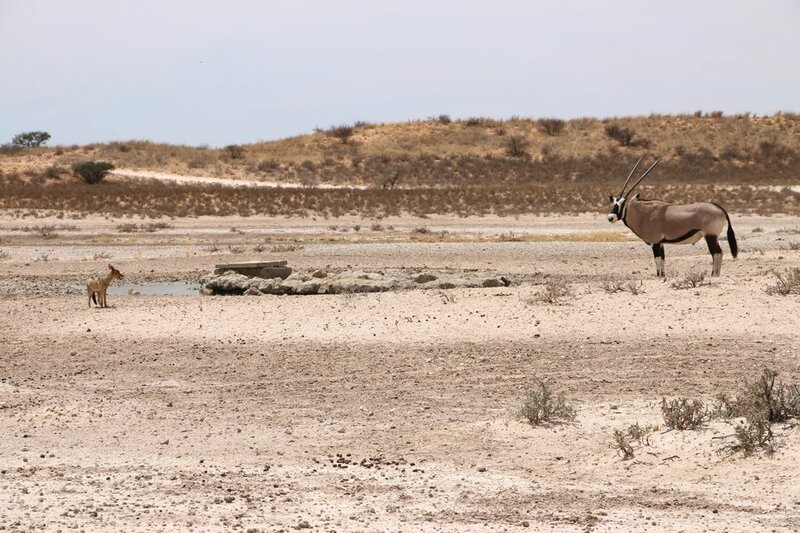 Gemsbok and a jackal at a waterhole, this is a very typical scene in the Kgalagadi. It was our worst day in the park we literally saw nothing till the last turn to Mata Mata, there we saw some springboks, gemsboks, jackals and many different birds. That was our best day from the beginning after we just left the campsite we saw a wild cat, 5 minutes later two hyenas. Finally we got some luck! This day except we saw as well four lions (two male and two female together), two bat-eared foxes, a Cape fox with two cubs. 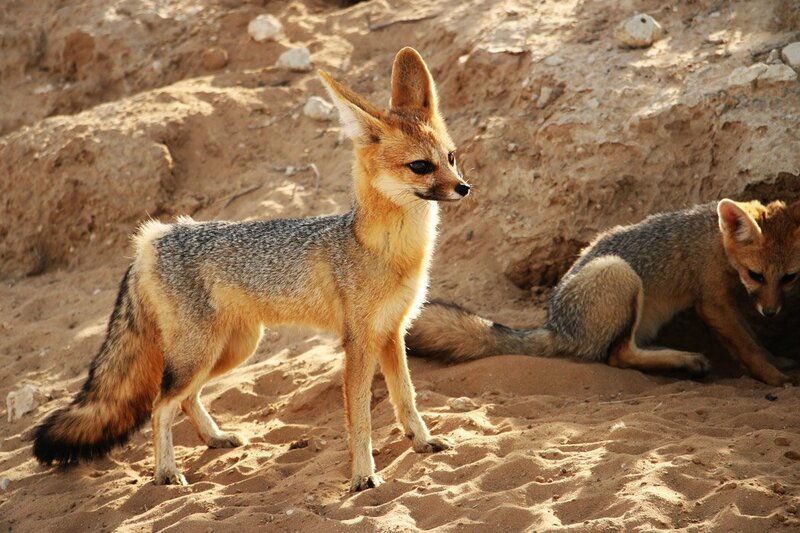 Not mentioning black back jackals, boks, wildebeest, eagles, falcons and many meerkats and ground squirrels. Two lionesses very happy to see each other. We found the area between Mata Mata and Twee Rivieren to have the most animals (especially lions) of areas that can be driven without 4×4. On this stretch lions are seen almost every day. We were told some stories by regular visitors to the park that they have seen up to 25 lions on that stretch in one day! If you are limited in time we’d say from Two River gate drive straight to Mata Mata and rather stay there for a day or two and do short morning and evening drives in the area. If you’re geared with a 4×4 and roof top tent and feel like going into the wild and exploring more off the beaten path of the park go to Botswana side stay in unfenced campsites we’re sure you won’t be disappointed. For great photos you’ll need a proper zoom lens we did regret about having only 18-135mm one. By the way we’ve never seen so many people geared so well in one place from their cars to the photo equipment compare to them we looked real safari amateurs. From other travellers words it sounded like Night safari is worth of money and people see a lot on them. For some reasons there were no night safaris on the days we were there. Remember to book night safari long in advanced they are very popular and usually fully booked. 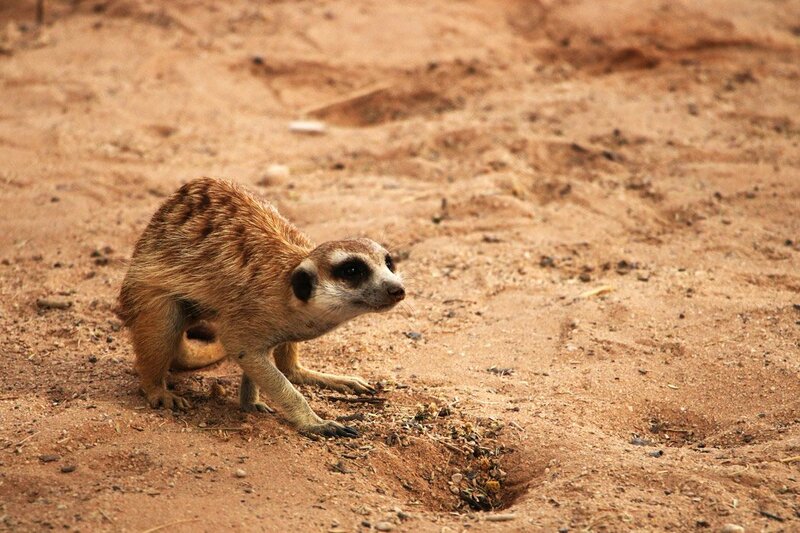 The meerkats loved digging around Mata Mata camp! Deflate tyres to 1.6 bars, there is facilities to inflate and deflate tyres in all 3 traditional camps. The best times for animal sightings are in the early mornings in summer, and afternoons in winter. If you are traveling from South Africa into Namibia, you are required to spend at least two nights in the park – bring your passport! Look at the animal sightings’ board at the three main camps to see what has recently been sighted and where. I think it would be a good idea to stress that the accommodation in the park is usually fully booked months in advance. After reading your blog I was left with the impression I would only need to book near to my travel date which is next August. I had intended to stay eight nights, but have been forced to reduce to six and take some expensive non-camping options. Hello, Jeremy! We’ve been to Kgalagadi twice in September and October and didn’t book anything months beforehand just a couple of days before and never had any problem. 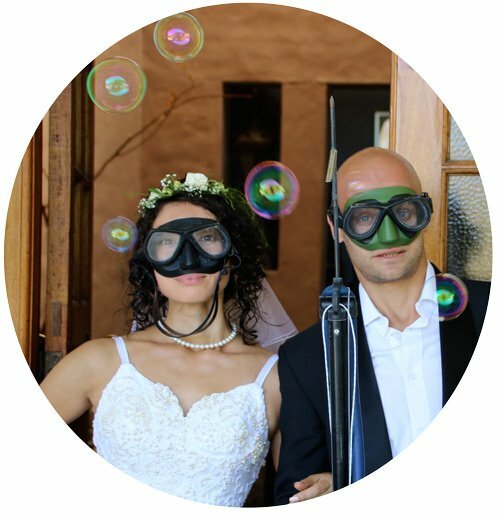 We phoned once or twice to check availability for some of our readers and there were spots available for their dates as well but when they tried to book it online it looked like everything was fully booked. Which campsites did you try to book? What are your dates? We can phone the park to double check.